It would be hard to overestimate the damage Pennsylvania's elected leaders have inflicted on the commonwealth by failing to adequately and equitably fund public schools over the past four years. The inferior education being provided to students as a result is the reason so many are failing to pass assessment and graduation exams. Better-paying jobs will be out of their reach when they become adults, which will ultimately have a negative impact on the state's economy. The problem is more acute where tax bases are modest. The state's contribution to public schools has fallen from 50 percent in 1975 to about 34 percent currently, according to an Education Law Center study conducted by Penn State researchers. Poor local governments have been unable to lift the heavier burden to fund their schools adequately. In fact, a recent Associated Press analysis showed that the funding gap between Pennsylvania's wealthy and poor districts has doubled over the past four years. Districts among the top 20 percent in average income are spending in excess of $4,000 more per student this year than the poorest 20 percent. Philadelphia almost always comes to mind when the subject is money for schools, but it's not the only struggling district in Pennsylvania. A study released last summer by the Center for American Progress found that inadequate funding has made Reading and Allentown two of "the nation's most fiscally disadvantaged" school districts. There has been enough finger-pointing about who is most responsible for the education funding crisis. The truth is that there are no innocents. Whether governors or legislators, the officials elected to protect the state's future by making sure its children are properly educated have failed. Now it's time to correct their mistakes. 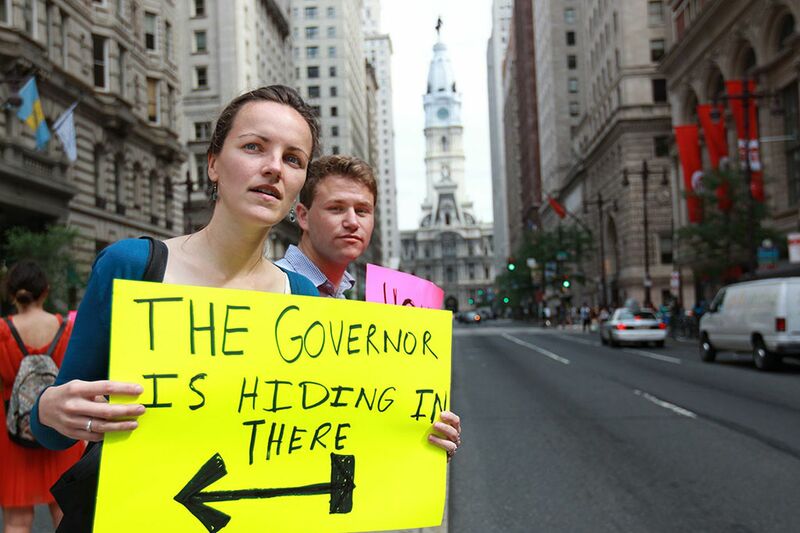 Tom Wolf's promise to do just that was a major reason voters gave for choosing him over Gov. Corbett. Wolf would do well to consider the findings of a legislative commission that has been holding hearings since July to develop a school funding formula, which is meant to replace the plan Corbett abandoned in the wake of the recession. In particular, Wolf should note pleas to the commission to scrap the "hold harmless" policy, which requires the state to give districts at least as much aid as they got the year before even if they have fewer students. The policy isn't fair to districts with growing and more diverse student populations, and it has widened the funding gap between rich and poor schools. Of course, Wolf will have his own ideas. But it won't hurt to get some guidance from the commission as he gets to work on his mandate to solve the school funding problem.